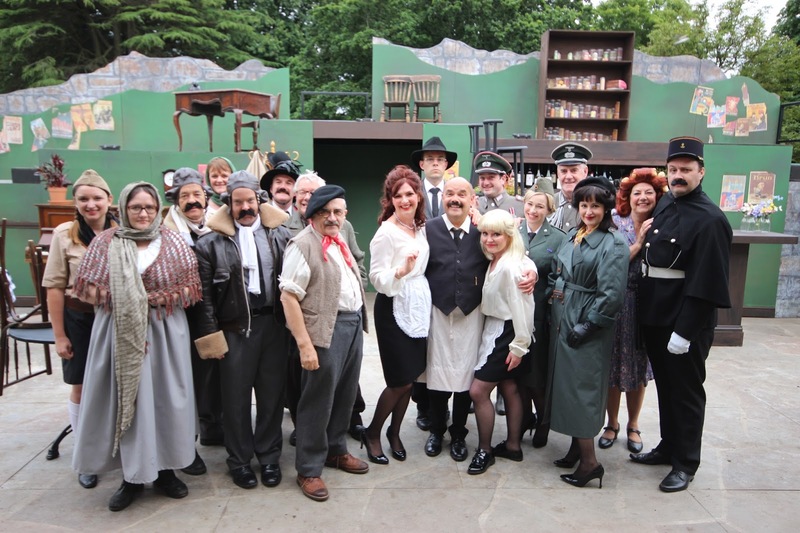 Last night saw the second show in Cardiff Open Air theatre, classic comedy ‘Allo ‘Allo. Now if nothing else, I think we can all agree we need a good laugh right now, and the company don’t disappoint on that front. 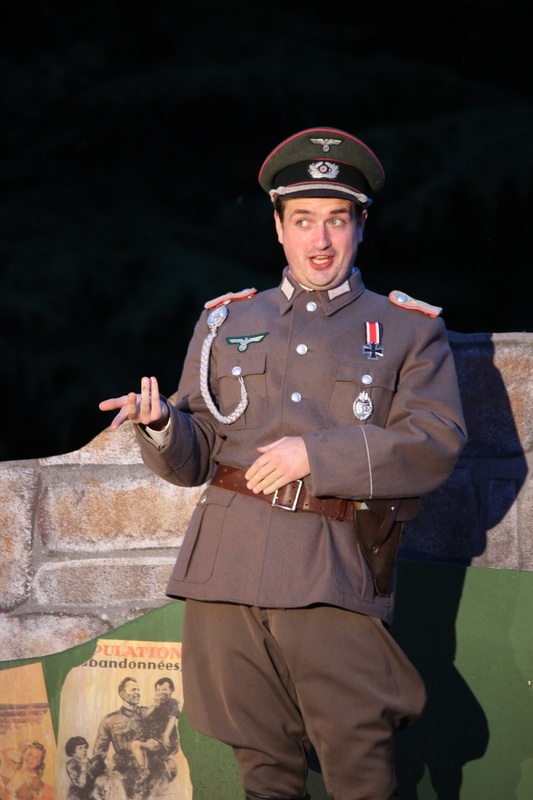 Staging classic sitcom ‘Allo ‘Allo on stage has elements of both blessing and curse for any actors. On the plus side, you know the material is already a hit, on the negative, it’s already been a hit on television and that can be a tough act to follow. 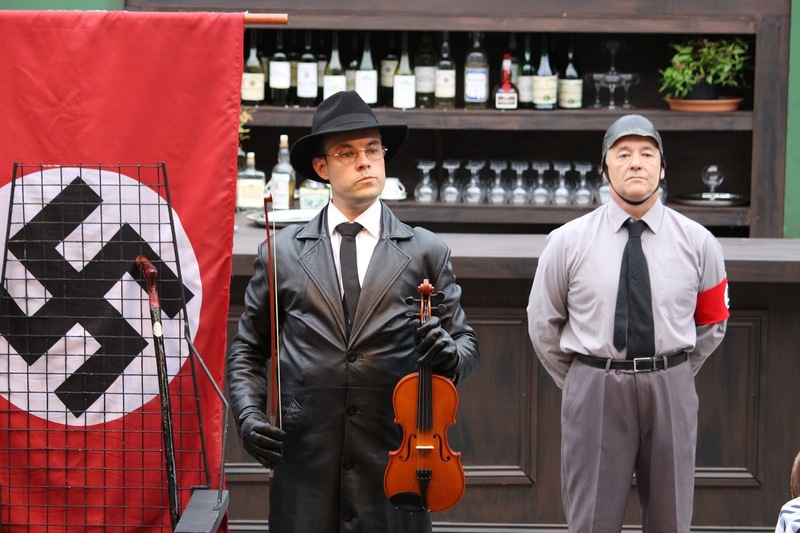 The cast rise to that challenge admirably, and the audience respond warmly to familiar characters and catchphrases while the cast breathes new life into familiar characters. 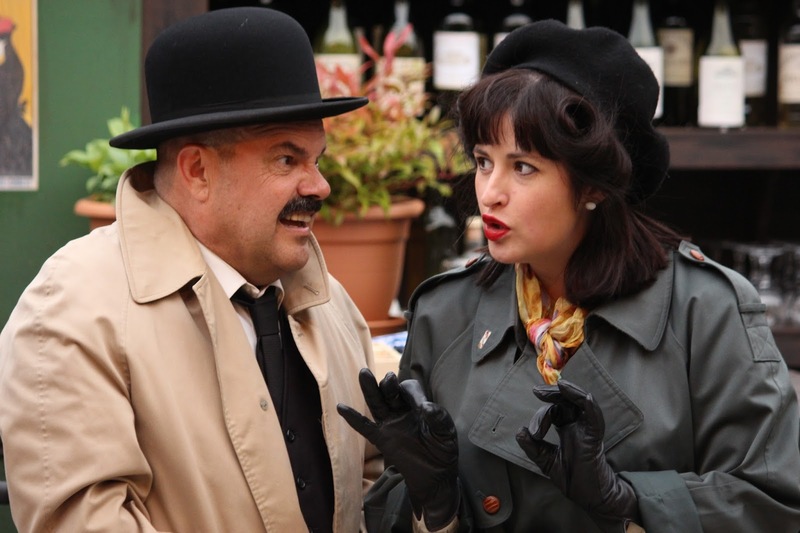 For those unfamiliar, ‘Allo ‘Allo was a BBC sitcom which ran between 1982-1992. Set in World War Two in a small town in occupied France where Rene Artois runs a cafe. When not running a cafe he is in turn helping the resistance, hiding clueless British airmen, helping hide stolen artworks and generally being involved in multiple double-crossing shenanigans at once. Oh and conducting simultaneous affairs with both his serving girls. Meanwhile Gestapo officer Herr Flick is conspiring to steal artworks from fellow German officers, Colonel Kurt von Strohmand Captain Hans Geering are conspiring to steal the valuable artworks as well, Michelle DuBois is running the French resistance through the cafe and British spy officer Crabtree is doing his best to help by posing as a French policeman. So far, so chaotic. It’s a fast paced piece the requires the cast to be one step ahead at all times, and they respond brilliantly. 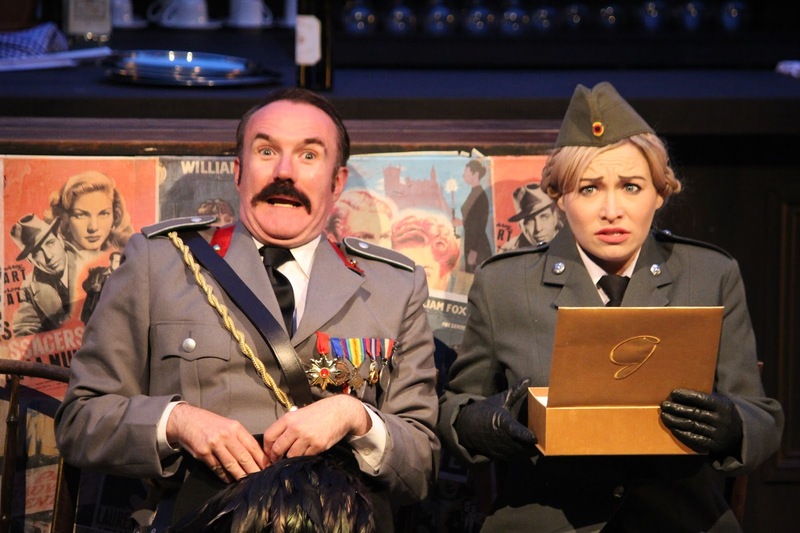 Expert comic timing is displayed across the board, as it some excellent physical comedy-notably from David O’Rourke as Herr Flick, who maintains the stoic deadpan exterior of the Gestapo officer while executing some brilliant moments of physical comedy. His counterpart Helga Geerhard (Helen Flannagan) has some brilliantly executed set pieces that compliment her witty performance with some outlandish and brilliantly funny visual comedy, and as a duo they work seamlessly. It’s a challenge taking on such well known characters but everyone rises to the occasion with enthusiasm and confidence. 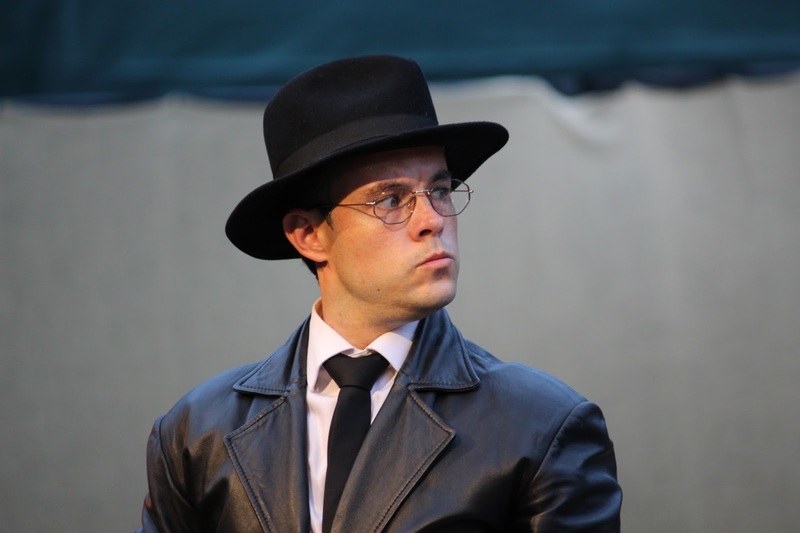 Paul Williams as Rene has the bigger challenge of holding the piece together as narrator, which he does with confidence and charm. He is warm and funny and while there is the hint of Gordon Kaye’s television performance, it’s also Williams’ own. The whole cast manage to balance their television counterparts with their own interpretation. Standout cast members were Richard Thomas as Captain Bertorelli and Osian Llewellyn Edwards as Lieutenant Gruber. Thomas is outlandish as the Italian General with many medals (one for fixing Fiats) who becomes unwittingly embroiled in the German scheming. Thomas veers on the right side of pantomime caricature, delivering the big performance needed from a man wearing a hat that looks like a dead chicken, but also keeping Bertorelli feeling like a real character and a charming likeable if ridiculous man. Edwards has much to play with taking on Gruber, the hapless Lieutenant who Rene fears has a bit of a thing for him. Camping it up in the first half in unintentional flirtations with Rene, and discovering the police in compromising positions lets Edwards play up to this role, and he highly entertaining to watch even in the background of the café scenes. It is also a lovely touch that the theme song at the end is sung by Edwards-transformed momentarily from camp German officer to charming 1940s crooner!